WASHINGTON, Dec 6 2013 (IPS) - A new poll following the election of President Hassan Rouhani says that a majority of Iranians oppose Iran’s intervention in Syria and Iraq and believe that Iran is seeking nuclear weapons despite their government’s claims to the contrary. The poll, released Friday and conducted Aug. 26-Sep. 22, of 1,205 Iranians in face-to-face interviews by a subcontractor for Zogby Research Services, also indicated that Rouhani had relatively lukewarm support at the time and that many Iranians would like to see a more democratic political system in their country. 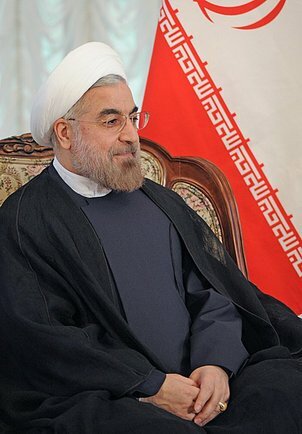 The results jibe with the June presidential elections in which Rouhani won a bare majority of votes, albeit against half a dozen other candidates. Half of those polled after the election either opposed Rouhani or said that his victory would make no difference in their lives. This reporter gained a similar impression of Iranian scepticism about their new president during a visit to Tehran in early August. Not surprisingly, given the impact of draconian sanctions and mismanagement by the previous Mahmoud Ahmadinejad government on the Iranian economy, the poll found that only 36 percent of Iranians said they were better off now than five years ago, compared to 43 percent who said they were worse off. However, the same percentage – 43 percent – said they expected their lives to improve under the Rouhani administration. Among the most interesting findings were those related to foreign policy. The poll found that 54 percent believe Iran’s intervention in Syria has had negative consequences – perhaps a reflection of the financial drain on Iran of the war in Syria and of the unpopularity of the Bashar al-Assad regime. Nearly the same proportion of the Iranian population – 52 percent – also opposed Iranian involvement in Iraq, which is ruled by a Shi’ite Muslim government friendly to Tehran. Iranian activities in support of fellow Shi’ites in Lebanon and Bahrain were only slightly more popular, while only in Yemen and Afghanistan did a majority of Iranians say their country’s actions have had a positive impact. The low marks for ties to Iraq may reflect “lingering anti-Iraq sentiment” stemming from the 1980-88 Iran-Iraq war, Zogby said. Iranian attitudes toward democracy and the nuclear issue were also interesting. While a plurality of Iranians (29 percent) listed unemployment as their top priority, a quarter of the population rated advancing democracy first. Other major priorities included protecting personal and civil rights (23 percent); increasing rights for women (19 percent); ending corruption (18 percent); and political or governmental reform (18 percent). According to the poll, only a tiny fraction – six percent – listed continuing Iran’s uranium enrichment as a top priority. Yet 55 percent agreed with the statement that “my country has ambitions to produce nuclear weapons” compared to 37 percent who believe the government’s assertions that the programme is purely peaceful. The Iranian government insists that it is not aiming to produce weapons and signed an agreement in Geneva Nov. 24 to constrain its nuclear programme in return for modest sanctions relief. In a strong show of nationalism, 96 percent said continuing the nuclear programme was worth the pain of sanctions. Only seven percent listed resolving the stand-off with the world over the Iranian nuclear programme so sanctions could be lifted as their top priority and only five percent put improving relations with the United States and the West at the head of their list. He noted those who identified themselves as Rouhani supporters were more inclined to affirm Iran’s right to nuclear weapons than Rouhani opponents – 76 percent compared to 61 percent. The poll results, Zogby said, suggest that Iranians do not consider Rouhani an exemplar of the reformist Green Movement that convulsed the country during and following 2009 presidential elections, but rather as an establishment figure. “His supporters are more in the hardline camp,” Zogby said. perhaps they are unaware of the neocons/zionist push to conquer syria as a stepping stone to war with iran. they’d better concentrate on that and leave less important matters until later, otherwise there will be no iran. even if iran has currently no desire for atomic weapons, the need for them will eventually manifest as their psychopathic distant neighbours make their moves.